Though I am not new to education, having been an educator of children, and teachers, for the last 28 years, I am a new upstart! I believe that Scotland should want its children to be allowed to be children, to have a happy, fun-filled childhood, to be exposed to many and varied positive learning experiences, to form warm and meaningful relationships with other children, their teachers and other adults, to be well-supported by the educationalists around them, to be supported to reach their potential and to go on from education to have successful lives, supporting themselves and making a contribution to society. Is our education system in Scotland supporting this to happen? The historical reasons we had in this country for an early school starting no longer exist. Statistics show us that the countries with a later starting age are giving their children a more successful schooling experience. For a number of years we have been concerned about early years education and the reduction of play in our educational settings. In addition we have a a significant gap between children of advantage and disadvantage. We are in danger of doing what we have always done and expecting different results. The definition of insanity, according to Einstein! It’s time to do something different, to be more creative and to really learn from what’s working, and from what’s not. In Scotland we need to create a mixed economy of educational provision within the mainstream. 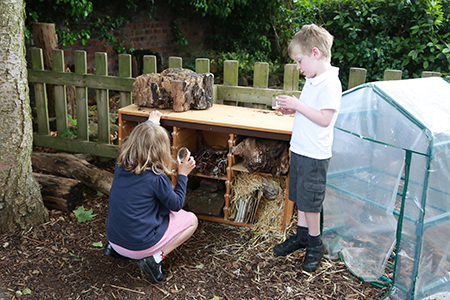 A kindergarten stage, with indoor and outdoor play-based learning will give a firm, rich and meaningful foundation, ensuring children are fully ready of the next more formal stage of their learning. A middle school stage of P5 to S2 would address some of the transition difficulties young people face, including the dip that often happens in S1 and would help to support the natural developments and transitions young people are going through at that age. S3 to S6 is where we really need to consider a mixed economy because it’s where we lose many of our young people, leading to the unacceptable position of young people not moving on to education or work. An upstart colleague said that successful transition is no transition, wouldn’t that be a marvellous thing to be able to say about Scottish education? That we had appropriate, natural stages for children to develop through. The changes required in Scottish education, noted above begin with the creation of a kindergarten stage. Let’s all become upstarts! I agree fully. Upstart is about a positive future – regardless of status quo, despite the status quo. Maximising potential and in all area of life requires a very different framework in Early Years (0-8) to create that strong platform.